Israel Assassinates Another Hamas Commander? 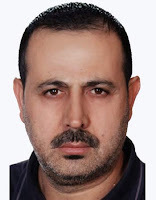 On Saturday 28th of August the Palestinian News Agency MAAN reported that the night before, the body of a 38 year old man who had been stabbed to death was transferred to medics in the central Gaza Strip. According to the report, the murdered man’s name was Samy Anan. The report, quoting the director of Gaza ambulance and emergency services Muawiya Hassanein, stated that Anan had died after having sustained “several stab wounds to the legs and forearms, as well as several trauma wounds to the head.” His body was found near an old military base. No other information about who he was was provided. However this morning, the Tehran based Khabar On Line news agency, quoting an article in the Iranian Student News Agency (ISNA) reported that Anan was in fact a battalion commander of Hamas’s military wing (Izz ad-Din al-Qassam). The Palestinian source quoted for this story is Palestine Information Center. The report blames Mossad for the assassination of Anan, as it says the method of his assassination is similar to that of Al Mabhouh in Dubai. Izz ad-Din al-Qassam battalions issued a statement commiserating the death of their commander. They also went on a demonstration. At the end of the demonstration, a Hamas official placed the blame directly on Israel by stating that Anan had been killed by tools that “are not available in Gaza and only the Mossad and the Zionist regime have access to them”. The contradictory stories are certainly worth noting. It is possible that Israel was behind the assassination of Anan. It is also possible that he was killed in a random act of crime, which Hamas is now trying to take advantage of by blaming it on Israel. At the same time, we can not rule out the other possibility that he was killed as part of a power struggle within Hamas’s military wing. Or that the Palestinians found out that he had been working for the other side. After all, why should the Palestinian medics mistake the cause of his death by stating that he was killed by stab would to his arms, legs and his forehead? Such injuries are very easy to distinguish from injections to the left arm, and electric shock to the lower part of the stomach. Just who is lying here, and why? The death of Sami Anan seems to be a mystery. From a stab victim, it suddenly emerged that he was a Hamas military commander. The real reasons behind the death of this notable military figure may never be discovered. Comments Off on Israel Assassinates Another Hamas Commander? On Saturday 28th of August, the city of Tel Aviv will be taking part in the International Day of Protest against Stoning. Tel Aviv will be part of a family of 100 cities around the world, which will be taking part in this campaign. This event will take place at Dina’s Cafe, 34 Yehuda Hayamit street in Jaffa, at 20:00.
who are two women at the imminent risk of execution without fair trial. There are also 25 others who are waiting to be executed by stoning. Their sentence was passed down to them by the judiciary of the Islamic Republic. The event will include speeches as well as screening of films and film clips about stoning in Iran. Iranian – Israeli Middle East analyst Meir Javedanfar will be one of the speakers. We are arranging for other speakers as well. At the end of the event we will take part in the symbolic activity of writing letters to the jailed women. Tired of investing money in stock exchanges which have had less luck than US Middle East envoy George Mitchell? Want to invest in a stock exchange whose index has grown by no less than 17% in six months? Then the Tehran Stock Exchange (TSE) maybe for you. The Iranian economy is going through one of its most miserable periods, yet the TSE is breaking records like never before. Two weeks ago was the 30th anniversary of the death of the Shah of Iran. The piece below looks at the life of one person who was affected by the revolution, and whether the Islamic Republic has delivered on its promises. The interview below looks at yesterday’s reports regarding a possible attempted assassination against president Mahmoud Ahmadinejad.